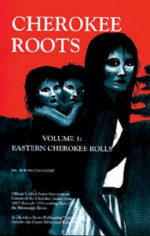 Searching for Cherokee Ancestors from VA, Kentucky, North Carolina, Tennessee with the surnames of Fouch, Rose, Vance, Stallard. I am trying to find the family of my great grandfather. His name was Joseph Cris Rose, and he was born 1825 in Monroe County, Tennessee. Lola Paine (Pane) Rose was my grandmother. I am Looking for more information regarding her Cherokee ancestry.